Some date ideas are very typical and seen everywhere from real life to movies. However, they are typical because they are still very romantic. You can put your own touch to these normal date ideas and make them special by changing little things. They will still be typical, but will have your own flair, making your date love the experience even more. Candlelit dinners are a typical date scenario. Pack a lunch and place it all neatly in a basket as well as a blanket to sit on, then go to a scenic park with your sweetie. Pick a park with a calm, relaxing atmosphere so you can enjoy each other's company and not worry about a dog or a person running through your meal. If you want to add a twist to the park picnic, pack food from a different country, like Chinese or Mexican food. You can have this food ordered and delivered to you ahead of time if you don't want to cook it. Go out window shopping with each other. This is a romantic way for you to enjoy time together and learn more about each other. You can find out what his style is so when you buy him clothes he is sure to love them. Also, it gives you a chance to talk about what you both want in the future, whether it is immediate or distant future, so you can deepen your relationship. Go on this type of date when it is getting near Christmas so that you can go do some secret Christmas shopping later on. Plan a romantic night out. 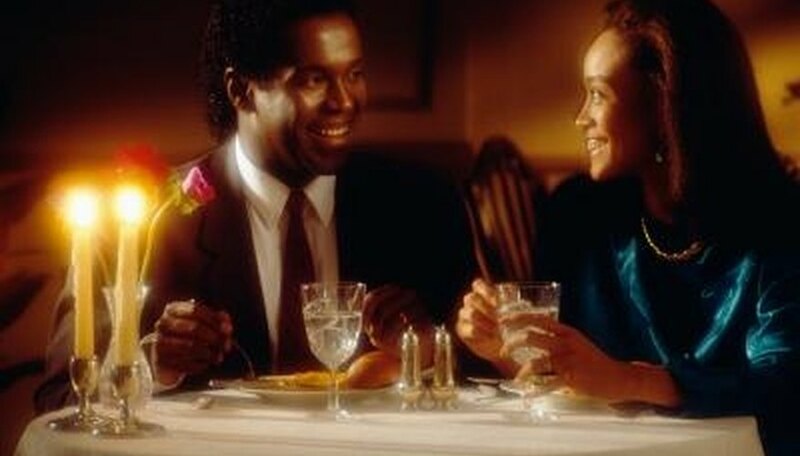 Getting dressed up and having dinner at a formal restaurant is a typical romantic date. Plan ahead and get reservations. To make this a special night out, go to a theater or other form of live show before or after dinner. You can also change the typical romantic restaurant dinner date by telling her you are taking her somewhere fancy, then taking her to your home, where you have a catered candlelit dinner waiting for the two of you. If you can re-create your first date then it shows that you really did care about the other person from the very beginning. Go to the same restaurant or venue that you first went to and sit in the exact same place. Plan to have the same meal brought to your table as well. Paying attention to every little detail will make this date even more romantic and special. Saar, Natalie. "Typical Romantic Date Ideas." Dating Tips - Match.com, https://datingtips.match.com/typical-romantic-date-ideas-8016748.html. Accessed 20 April 2019.